California Department of Public Health (CDPH) State Public Health Officer Dr. Karen Smith reported today that the state is experiencing widespread influenza activity that is more severe than last year. CDPH has also received the first report of a death associated with influenza in a child younger than 18 years of age. The death occurred in Riverside County. CDPH disease monitoring indicates widespread flu activity across the state that is more severe than last year. Since the beginning of the influenza season, CDPH has received reports of 14 influenza-associated deaths, including the child in Riverside. This count represents a fraction of the total flu deaths statewide because only deaths in people younger than 65 are reported to the state and not all influenza-related deaths are easily attributable to influenza. For anyone who has not yet received a flu shot this season, it is not too late. Influenza activity usually continues for several months, and it is still early in the season. CDPH recommends all Californians aged six month and older, including pregnant women, should get the annual flu vaccine. The flu virus circulating this season closely matches the vaccine, suggesting that the vaccine will provide protection against influenza and reduce the risk of severe disease. The flu vaccine prevents disease due to the most serious wintertime virus, but other viruses are also circulating now. For more information about influenza visit the CDPH influenza web page: www.cdph.ca.gov/HealthInfo/discond/Pages/Influenza(Flu).aspx. The California Department of Public Health (CDPH) has lifted the last remaining health advisory for Dungeness crab caught along the California coast. CDPH lifted this advisory on January 11th due to recent tests showing that traces of domoic acid have declined to low or undetectable levels in Dungeness crabs caught in the area, indicating they are safe to consume. Dungeness crabs caught along the coast are safe to consume. However, as a precaution, consumers are advised not eat the viscera (internal organs, also known as “butter” or “guts”) of crabs. The viscera usually contain much higher levels of domoic acid than crab body meat. When whole crabs are cooked in liquid, domoic acid may leach from the viscera into the cooking liquid. Water or broth used to cook whole crabs should be discarded and not used to prepare dishes such as sauces, broths, soups or stews (for example, cioppino or gumbo), stocks, roux, dressings or dips. Symptoms of domoic acid poisoning can occur within 30 minutes to 24 hours after eating toxic seafood. In mild cases, symptoms may include vomiting, diarrhea, abdominal cramps, headache and dizziness. In severe cases, the victim may experience trouble breathing, confusion, disorientation, cardiovascular instability, seizures, excessive bronchial secretions, permanent loss of short-term memory, coma or death. Domoic acid accumulation in seafood is a natural occurrence that is related to a “bloom” of a particular single-celled plant. CDPH will continue to monitor conditions to ensure that seafood sold in California is safe to consume. With seasonal rains promoting the growth of wild mushrooms, California Department of Public Health (CDPH) Director and State Public Health Officer Dr. Karen Smith is reminding people that collecting and eating hazardous wild mushrooms can lead to serious illness and even death. Three suffered a major health outcome, such as liver failure leading to coma and/or a liver transplant, or kidney failure requiring dialysis. 50 suffered a moderate health outcome, such as dehydration due to vomiting and diarrhea, or injury to the liver or kidney. 348 were children under six years of age. Usually the children ate a small amount of a mushrooms growing in yards or neighborhood parks. 415 were treated at a health care facility. Eight were admitted to an intensive care unit. 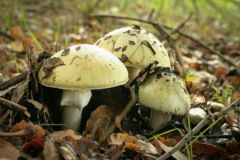 The most serious illnesses and deaths have been linked primarily to wild mushrooms known to cause liver damage, including Amanita phalloides, also known as the “death cap” and Amanita ocreata, or “destroying angel.” These and other poisonous mushrooms grow in some parts of California year-round, but are most commonly found during fall, late winter or spring. Eating poisonous mushrooms can cause abdominal pain, cramping, vomiting, diarrhea, liver damage or death. Anyone who develops symptoms after eating wild mushrooms should seek immediate medical attention. People who develop these symptoms, or their treating health care providers, should immediately contact Poison Control at 1-800-222-1222. Local mycological societies offer educational resources about mushroom identification, and may be able to help people identify mushrooms they have picked. The Substance Abuse and Mental Health Services Administration (SAMHSA) has awarded up to a total of $7,196,038 over the next five years to programs in California for programs that help people and communities recover from, and build resiliency from trauma. Community Treatment and Services Centers grants: Purpose – Improves the quality of trauma treatment and services for children, adolescents, and their families who experience or witness traumatic events; and to increase access to effective trauma-focused treatment and services for children and adolescents throughout the nation. 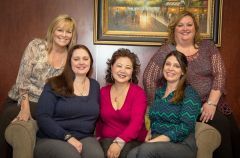 The work of this initiative is carried out by a national network of grantees – the National Child Traumatic Stress Network – that works collaboratively to develop and promote effective trauma treatment, services, and other resources for children, adolescents, and families exposed to an array of traumatic events. The Substance Abuse and Mental Health Services Administration (SAMHSA) is the agency within the U.S. Department of Health and Human Services that leads public health efforts to advance the behavioral health of the nation. SAMHSA's mission is to reduce the impact of substance abuse and mental illness on America's communities. For more information on SAMHSA grants, visit www.samhsa.gov/grants. The California Department of Public Health (CDPH) released two annual reports recently. The reports provide information about healthcare-associated infections (HAI) and influenza vaccination rates among health care providers. While California hospitals have made progress in preventing healthcare-associated infections, HAIs continue to be a significant public health issue in the state. In 2015, hospitals reported 19,847 healthcare-associated infections to CDPH. From 2014 to 2015, 56 hospitals demonstrated significant improvement in preventing one or more HAI type. Hospitals are making progress in preventing HAI with the exception of C. difficile diarrheal infections (CDI), which increased 8 percent since 2011. CDPH offered infection-prevention assistance to 73 hospitals with high infection rates. The department’s influenza vaccination report indicates that vaccination rates among health care providers have improved in the past five years. Since 2011, vaccination rates increased 21 percent for hospital employees and 11 percent for non-employee healthcare providers, such as physicians or other contracted staff members. Both the HAI and influenza vaccination rate reports include data reported by 392 licensed general acute care hospitals representing 419 campuses. The reports are on the CDPH website at www.cdph.ca.gov. Due to various factors in the way data are classified and validated, the information in this HAI report is not directly comparable to previous annual reports the department released. The report provides additional details about these changes. Using data from these reports, CDPH created an interactive map for the public, Healthcare Personnel Influenza Vaccination in California Hospitals and updated the data for the My Hospital’s Infections Map.